Eight people were injured when an out-of-control plunged into a swimming pool full of children. 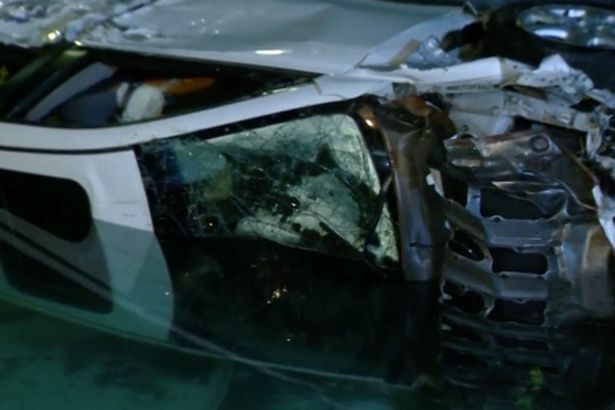 The driver of the Toyota SUV is believed to have lost control while making a left turn and crashed through a brick wall into the swimming pool. 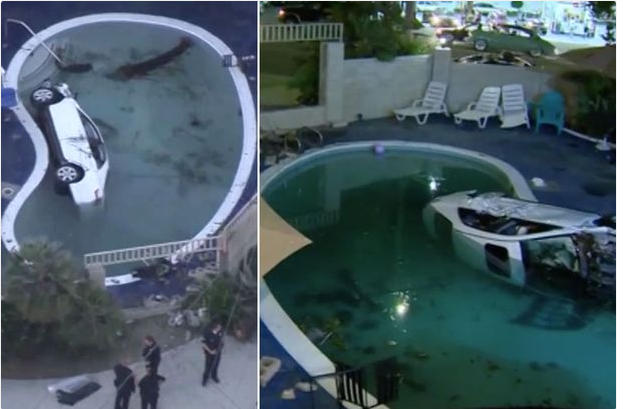 Children were playing in the pool area of the Vagabond Inn in San Pedro when the crash occurred at 7.24pm on Sunday evening. A number of youngsters suffered minor injuries. The driver is believed to be critically-injured and is being treated at a local hospital, Los Angeles Fire Department said. Witnesses say the driver was underwater for sometime before being rescued.